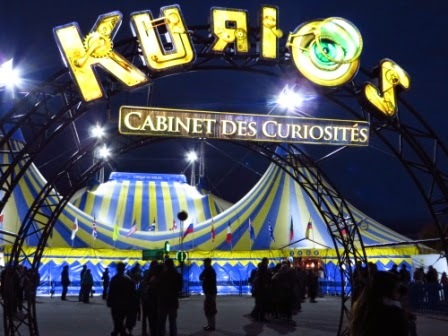 Gord and I saw Cirque du Soleil's KURIOS – Cabinet of Curiosities tonight. The Toronto Star had given it 4/4 stars. What if you could alter reality at will? 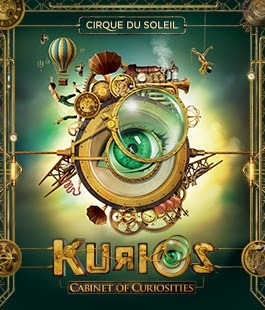 Delve into a world of curiosity where seeing is disbelieving: the world of KURIOS™ – Cabinet of Curiosities from Cirque du Soleil®. 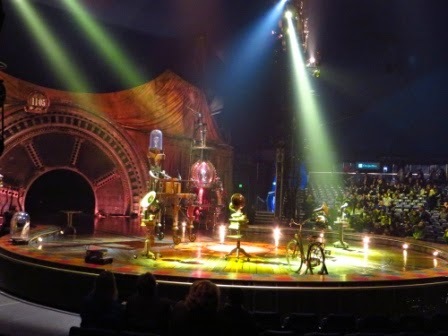 The show immerses you in a mysterious and fascinating realm that disorients your senses and challenges your perceptions, leaving you to wonder: "Is it real, or just a figment of my imagination?" 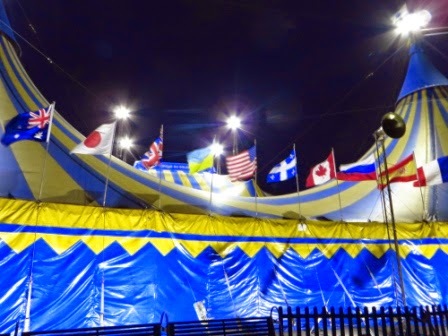 I'd never been to a Cirque show so Gord and I bought tickets for it months ago for tonight. Then the company I work for had a client night in September and I got invited to go. I thought it was amazing and was looking forward to going again with Gord. Our seats were in section 101 in row G. Here's the stage before it got started. 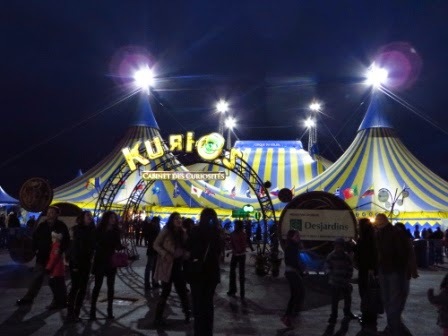 There is lots of acrobatics, balancing, singing (the female singer, Eirini Tornesaki, has a great voice), clapping, laughs and more. It was just as amazing the second time around! I enjoyed it just as much the second time, even though I knew what was going to happen. Maybe it's because I knew what was going to happen. 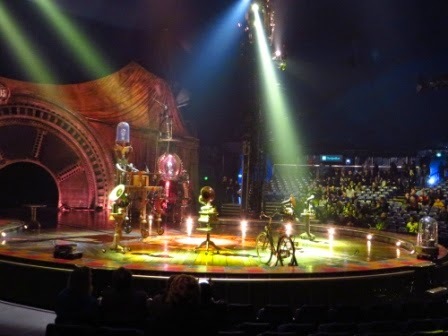 Kurios looks amazing! I thought about taking DK for his birthday, but decided on getting him a Wii U instead. I'm glad you enjoyed the show, twice!